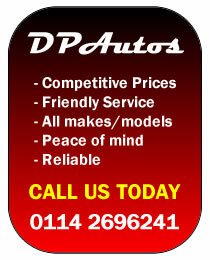 Through our extensive experience at DP Autos we are able to offer maintenance or replacement gearboxes and clutches on all makes and models of vehicles. We can offer you free advice and diagnoses of clutch or gearbox related problems. It is likely we will be able to save you up to 50% on main dealer prices for your gearbox or clutch maintenance and repairs so contact us today to find out more about our competitive prices should you require any repairs carrying out.